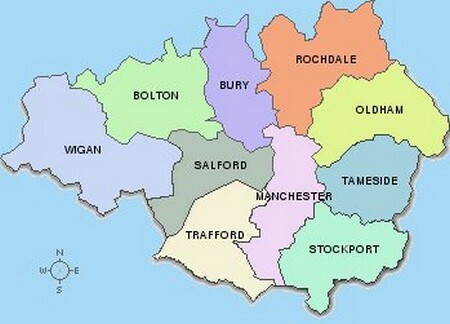 Manchester is often called the ‘beating heart of the North’ and it is easy to see why. It has all the facilities, events and culture you would expect from such a vibrant and thriving city. Take a stroll around this colourful city, and you can spend many hours appreciating its charms. Walk through Chinatown, for example, and see its bustling community and the majestic red and gold Imperial Arch built by Peking craftsmen. Then why not visit the Chinese Arts Centre? This presents changing contemporary arts exhibitions and a wide range of interesting information on Chinese art and culture. Near to Chinatown you will also find the famous Gay Village, with its waterfront restaurants and bars – an ideal place to sit and watch the world go by. Then why not visit the bohemian Northern Quarter, with its trendy people and shops, or Piccadilly Gardens, with its pavilion, lawns, fountains and sculptures? Another area not to miss is the historic Castlefield, which is considered by many to be the hidden jewel in the city’s crown. This area dates back to 200 CE, and to this day still contains evidence of the Roman occupation and well-preserved fortresses. There are also interesting canal walks in and around Manchester, and a wealth of beautiful public parks, such as the Castlefield Urban Heritage Park, which is an open area of waterways, tourist attractions and cafes. The Daisy Nook Country Park includes beautiful woodlands, a lake, a canal, the River Medlock and flower-filled meadows. You can also take in free exhibitions and activities for children at the Visitor Centre. You may want to explore the surrounding countryside: touching Greater Manchester to the east is the wonderful Peak District National Park, with its high moorland to the north and limestone caves to the south. Here you will find breathtaking views and beautiful walks. There are also free guided wildlife walks in the Mersey Valley. Manchester has its fair share of museums and galleries, and many of them are free. The Museum of Science & Industry, for example, provides a great day out with lots to see and do. This huge museum houses some spectacular displays, including the oldest passenger railway station and railway warehouse in the world. You can see fantastic flying machines and take a ride on a steam train. Other features include the Power Hall, the Air and Space Gallery – a hands-on science gallery – and the Fibres, Fabrics and Fashion display. Another must is Manchester Museum, which houses collections covering many subjects, including Egyptology, zoology and the science of life. Its geology collection includes some amazing fossils and dinosaurs. On the art side, Manchester Art Gallery houses some spectacular works of art, including the much loved Pre-Raphaelite collection. The Whitworth Art Gallery, meanwhile, is famous for its collections of British watercolours, textiles and wallpapers, but also contains a notable collection of prints, drawings, sculptures and paintings. The Cornerhouse is Manchester’s centre for international cinema and the visual arts. Its three galleries feature contemporary art, photography and sculpture. You will have to pay if you want to see an independent film at one of its three cinema screens, but you can see the exhibitions for free. If clothes and fashion are more to your taste, then you should visit the Gallery of Costume, which is an elegant Georgian house containing one of the finest costume collections in the country. The costumes date from the 1600s to the present day. Manchester also has a whole host of interesting buildings you can visit for free. Manchester Cathedral has a breathtaking interior, with fabulous medieval carved woodwork and beautiful modern glass. Guided tours are free, and so are the lunchtime concerts held there and the beautifully sung evensong. There is also a visitor centre, which provides interactive facilities. Also, the Theological Society gives free lectures at the cathedral about six to eight times a year. Other interesting buildings worth a visit include John Ryland’s Library, one of the country’s finest late-Victorian Gothic buildings. It houses one of the best collections of manuscripts and printed works in Europe. The library has recently been undergoing a programme of major renovation works, so check that it is open before you go there. The Pankhurst Centre will provide another interesting stop on your itinerary. This is the house where the Pankhurst family lived. The Pankhursts were key players in the Votes for Women movement, and the Women’s Social and Political Union was formed here in 1903. If you have time, don’t forget to visit Heaton Hall and Park on the outskirts of the city. Heaton Hall is a Grade I listed house and has some stunning period interiors – the Etruscan room is particularly beautiful. The 640-acre park features a walled garden, pets corner, historic tramline and boating lake, so there will be something to interest adults and children alike. 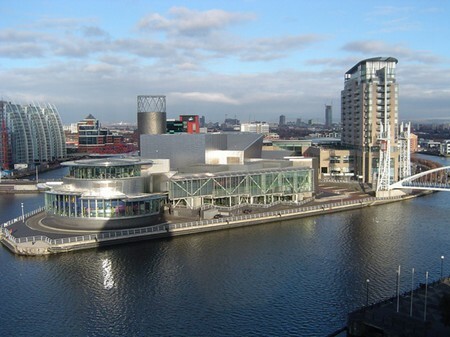 Manchester also stages many spectacular events each year, and recently these have included street light festivals, colourful parades and carnivals, cultural festivals, jazz fests, shows and concerts. For information on all these free events, and more, contact the local tourist information centre.